This wonderful collection includes retellings of five stories by Charles Dickens, one of the most popular authors of all time. You can meet dozens of his unforgettable characters in stories bursting with drama, comedy, tragedy and romance, set against the backdrop of Victorian England. 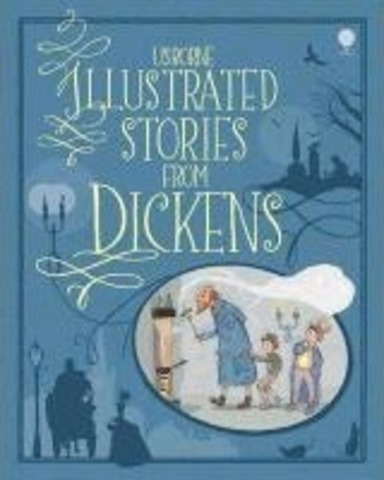 It contains `Oliver Twist`, `Great Expectations`, `David Copperfield`, `A Tale of Two Cities` and `Bleak House` all beautifully retold for younger readers. A section at the back introduces the life and times of Charles Dickens. It features full of colourful illustrations from the `Usborne Young Reading Programme`. It is now produced in a shrink-wrapped, luxurious gift edition to celebrate Dickens' bicentenary.